The University of Cambridge Department of Engineering was founded in 1875 and has a well-deserved reputation for academic creativity and rigour, attracting the best academics and students from around the world. In order to accommodate these activities the department badly needs additional research space on its already busy site. It therefore commissioned Nicholas Hare Architects to design an extension to the existing Baker Building, itself a ground-breaking structure. 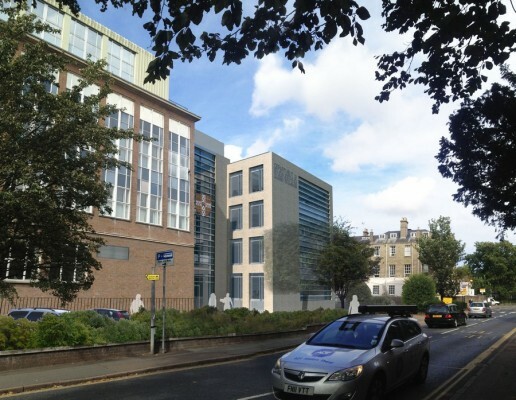 The new building will occupy a site between the Baker Building and the Royal Cambridge Hotel. 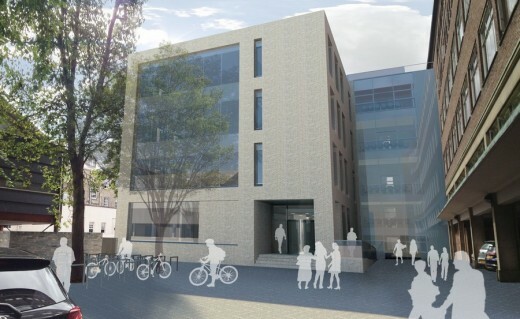 It will form a strong southern edge to the department’s re-configured and resurfaced main entrance forecourt, and will provide a significant presence along The Fen Causeway – a busy artery into and out of Cambridge, raising the department’s profile and providing a ‘window’ into the department’s varied activities. 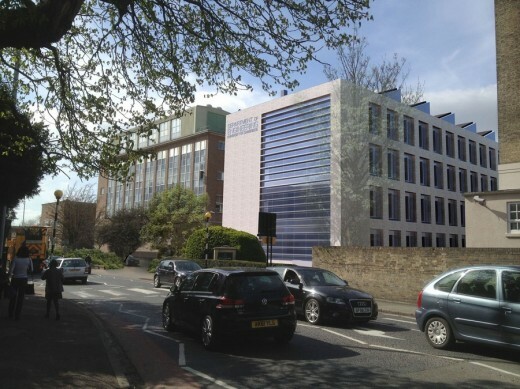 Essentially rectangular in form the new extension will consist of 2,900m2 of post-graduate research and teaching space over four floors, providing open-plan research floors, academic offices, meeting rooms and support spaces. Additional seminar spaces are provided on the ground floor and further teaching and break-out areas are located within a glazed element that links the new facility to the Baker Building at each level. The department have set a very challenging annual energy use target of 100kWh/m2 for combined regulated and unregulated energy. 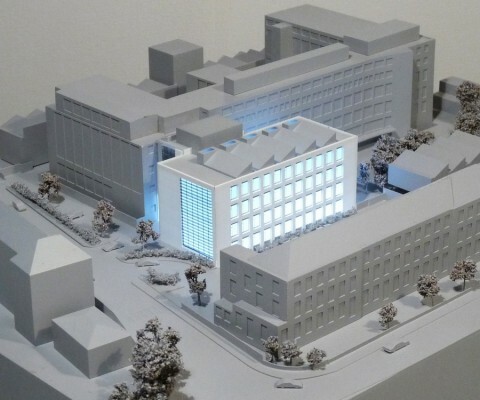 This target will be met through a variety of strategies, including extensive use of assisted natural ventilation with heat recovery, natural daylight, an exposed in-situ concrete structure, photovoltaic arrays and the use of LED lighting. There will be no mechanical cooling and the building will be highly insulated and have a demandingly low infiltration rate. The department are also keen that the building itself should become a tool for research. To this end the design team have worked with a number of the post-graduate research groups to provide opportunities for monitoring the building structure and incorporate materials or components into discrete areas of the building.